While accessories are a must, I would also like to point out another thing that I love: beauty products. I could stand in front of the mirror doing my makeup all day—making sure everything from my eyeliner to my lip gloss is perfect. Today I’m going to write about eight beauty products I can’t live without. These are tried-and true and have become staples in my makeup bag. Enjoy! Ahh…a lip stain that also leaves your lips super soft! I fell in love with lip stains after I really liked the look of lipstick…but didn’t like the need to reapply it after meals and after smudging my lip color. Lip stain was the perfect compromise between color and longevity. Lip stains are great because they provide color without the heaviness of lipstick. 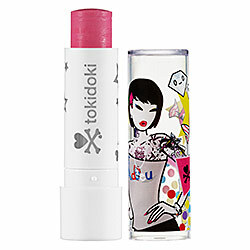 This one gives my lips a great foxy pink color and tastes like cherries too! I am perfume obsessed. In fact, I scent my bed every night before getting some shut eye. One day while browsing the aisle of Sephora, I stumbled upon this perfume. 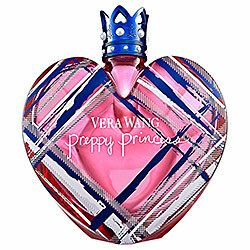 Although I liked the original Vera Wang Princess perfume, this one appealed to me more because it is light, sweet, and very girly. There are fruity notes of tangerine, apple, and berries mixed with the light oriental smell of woods. Delicious! 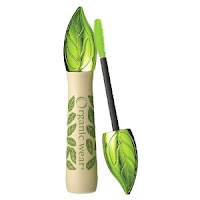 I like my food to be organic, so why not my mascara too? In addition to have adorable packaging, this formula makes my lashes look long and lush. It is also free of harsh chemicals, synthetic preservatives, parabens, and genetically modified organisms. What more could you ask for in a mascara? I have been using liquid eyeliner for the past four years. I prefer the dramatic look of liquid eyeliner to traditional pencil liners. 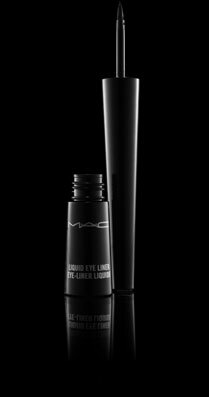 This one by MAC has been my favorite because it is extra smooth and glides on easily. The applicator also allows you to control if you want a skinner line or a thicker line. I am a huge sucker for packaging. Too Faced makes the cutest packaging in my opinion. Their products are very pin-upy and glamorous. Of the various Too Faced Products I own, however, this is the one that I use every day. This makes my foundation last noticeably longer, and evens out my skin tone which helps foundation go on smoother and last longer. I have been recommending this product to my friends for a while now and I never leave home without it! Hands can often by something that is overlooked during a normal beauty routine. This cuticle smells so delicious and feels so divine you will never forget your hands again! 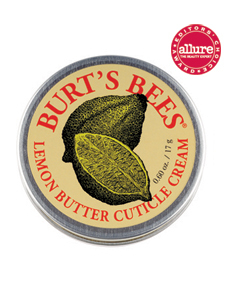 With moisturizing lemon oil and sweet almond oil, I promise your cuticles will never look better. 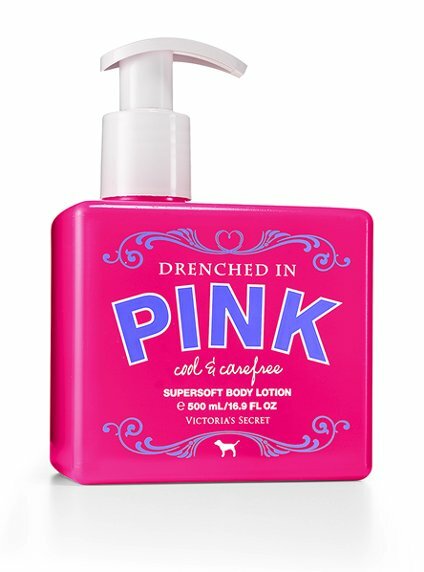 This lotion is called “Drenched in Pink”—I was already sold. Cool and carefree has the delicate smell of daisies and passion fruit, which I love. But what I like even more is how moisturizing this lotion really is! No more flaky, scaly skin, and hello soft touchable legs! Okay, this isn’t the exact case I have, as mine is a couple seasons old, this one is very similar. 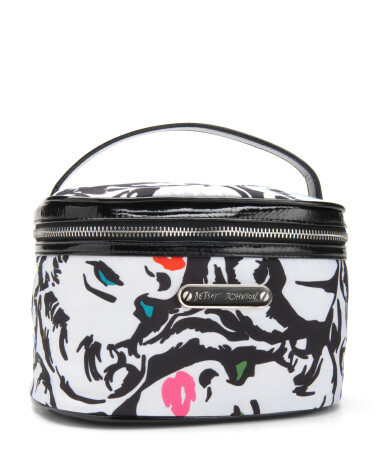 I need a big train case to house all my makeup necessities—when I carry mine around, it weighs a ton! 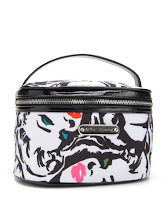 I am a huge Betsey Johnson fan, and I couldn’t think of a better way to store all your beauty necessities.